Plans to open a school for "disengaged" teenagers in a disused office block have been slammed by Birmingham planners as a "recipe for chaos". 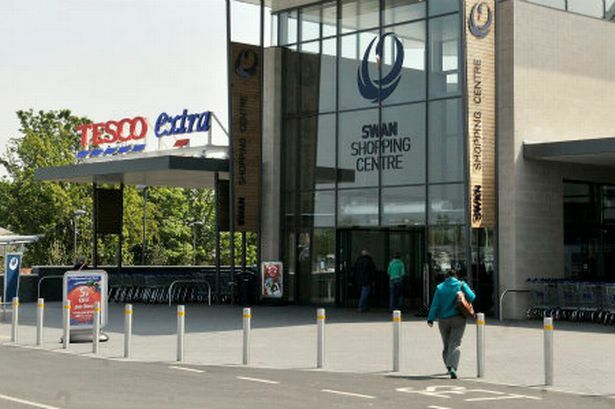 The Tesco at the Swan Centre in South Yardley. Members of the city council’s planning committee said they feared the block, at the Swan Centre in Yardley, had no open space or playground, offered no fresh food on site, had no staff parking spaces and was not suited for 90 challenging pupils. They are now set to refuse the proposal unless the authority’s education department and Ofsted provide compelling evidence the former Tesco office can be successfully converted. The plans had already sparked objections from residents with 163 people signing petitions against the scheme and raising fears over youngsters congregating outside and in the shopping centre. East Birmingham Network, a group of schools behind the scheme, said it would be a training centre for up to 90 children aged 13 to 18 who were "disengaged" from mainstream education, with the aim of encouraging them to develop and return to school. Committee member Coun John Clancy (Lab, Quinton), a secondary school teacher of 25 years, thought the scheme a "recipe for chaos". He said: "The teaching environment is one of the most important aspects of school and pupils should be given a better environment. There is not even any open space." His colleague Coun Barry Henley (Lab, Brandwood) was equally appalled, citing the lack of a school kitchen. "A Tesco sandwich is no substitute for a proper meal prepared to a Jamie Oliver recipe," he said. And Coun Bob Beauchamp (Con, Erdington) added: "It is so obviously the wrong place for a school." Coun David Willis (Lib Dem, South Yardley), representing residents, said: "This would have a dramatic impact on the area with 90 young people coming in and out of school. We already have anti-social problems with the subway." The committee was set against the school, but opted to wait to hear evidence from education experts before they decided whether to refuse the plan outright.